Used in key engine parts. Precise cross-section shapes enable high dimensional precision. Piston rings are a key component of internal combustion engines in two- and four-wheeled vehicles. Since the pistons have to move back-and-forth thousands of times per minute within the cylinders, the piston rings are indispensable for engine operation. Piston rings perform several important functions: They act as a gas seal within the cylinder, conduct heat to let the piston’s heat escape through the cylinder wall, and control the amount of engine oil that lubricates the engine. Each piston has three piston rings that each performs all these required functions. 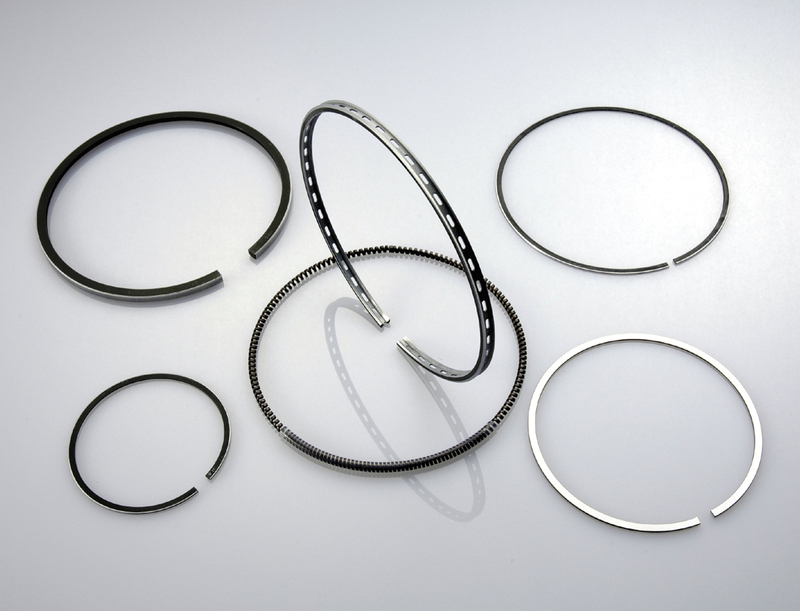 The wire used to make piston rings needs to satisfy demanding performance criteria since piston rings move back-and-forth vigorously under harsh conditions at high temperatures and speeds, and client quality requirements are constantly evolving. To meet these market and client demands, Tokusen has been working on refining our proprietary shaping technology to enable wire processing of minute cross-section shapes with high dimensional precision. Copyright © TOKUSEN KOGYO Co.,ltd All rights reserved.